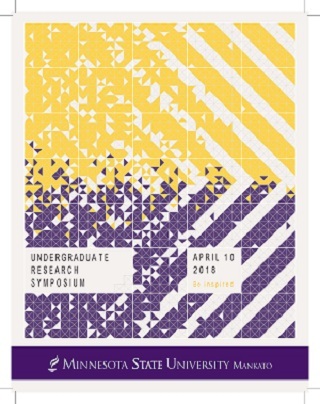 The 20th Annual MSU, Mankato Undergraduate Research Symposium, featured scholarship and creative activities from all six colleges. The Symposium acquaints undergraduates with the process and rigors of presenting research in a scholarly manner in an academic setting. The conference highlights work that is supported by many. In all cases, faculty have given generously of their time and talents but are equally rewarded by the mentoring experience. Some students have received grants from the MSU Foundation, the North Star STEM Alliance, the MSU Undergraduate Research Center, the Honors Program, various MSU academic departments, and other supporters. Students presented their work at the conference orally, in poster format, or, as part of a creativity exhibit. We congratulate these students for their accomplishments and hope that this experience helps to launch productive and satisfying academic and professional careers.